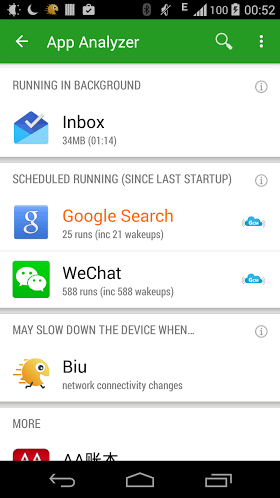 ● Optimization of non-ROOT mode automatically sleep setting guide interaction, fixed the related issues. ● After you manually grant GET_APP_OPS_STATS permission under Android 8, apps that have the background behavior enabled are shown as “Background purged,” and are treated purely in the background. 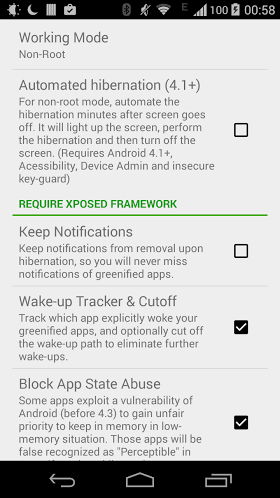 ● The bottom of the application operating bar has added the “application settings (system interface)” operation for Android 8 to open the application for background behavior restrictions (battery – off “background activity”). ● Optimized Android 8.x application background is purely judging criteria. ● Manual Hibernate Applications If they are not in regular hibernation mode, they will no longer be booted for accessibility services. ● Fixed bug in recognition of some application statuses under Android 8.x.